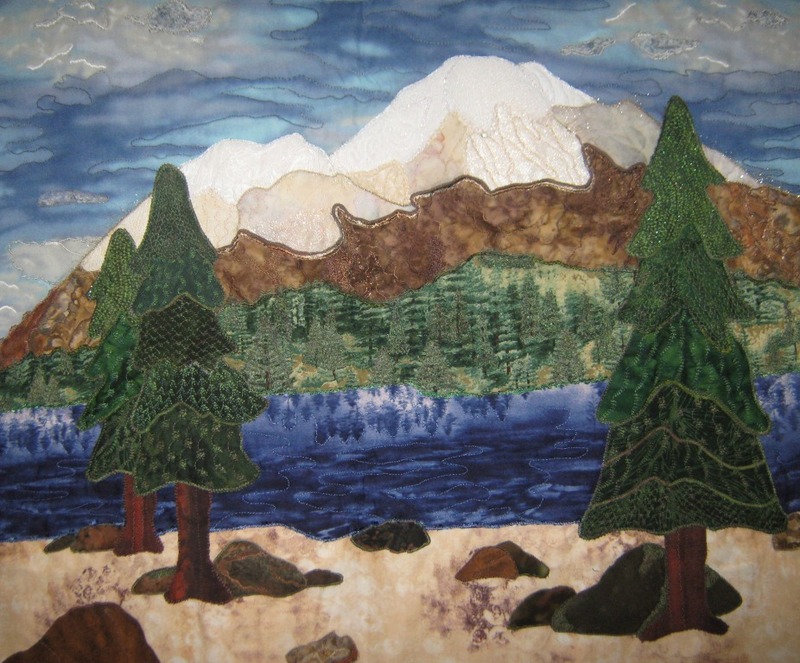 I have been quilting for 28 years and I have visited dozens of quilt shows. 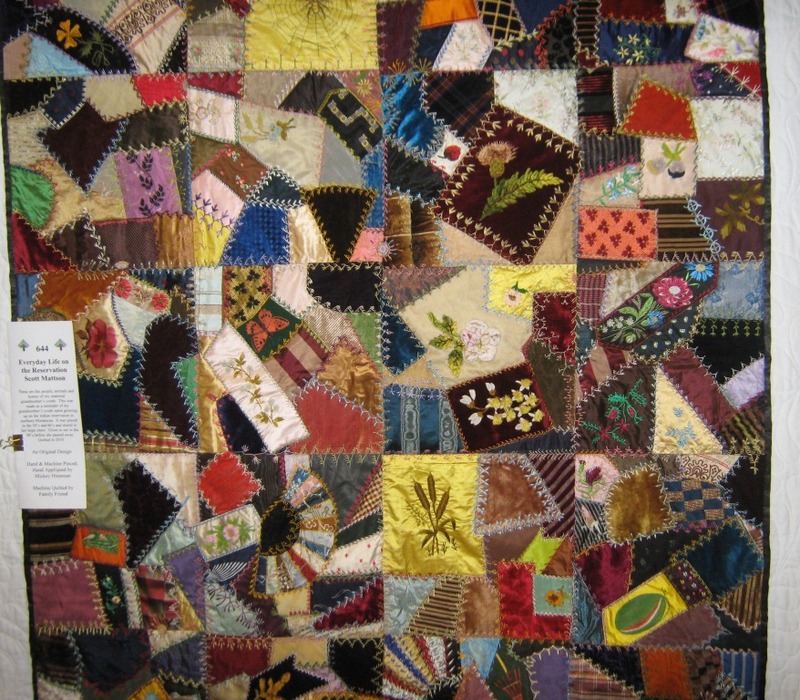 When touring the USA recently, I visited a community quilt show in Sonora, California that was held at the fairgrounds. The moment I entered the grounds I was greeted with the friendly smiles and familiar signs leading to the raffle tickets, refreshment area, shops and the members market full of handmade items for sale. I could have been at any quilt show anywhere in the world. 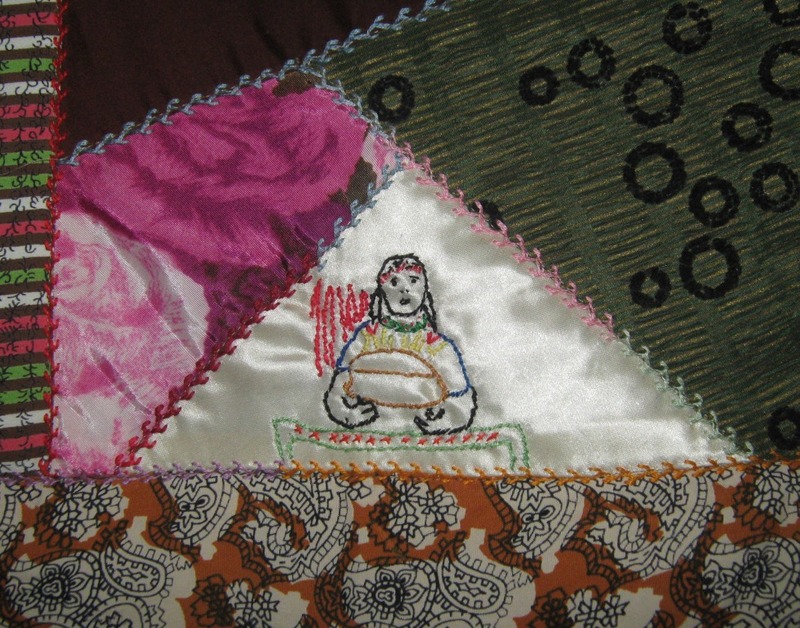 The universal kindness and generous spirit is something all quilters share. 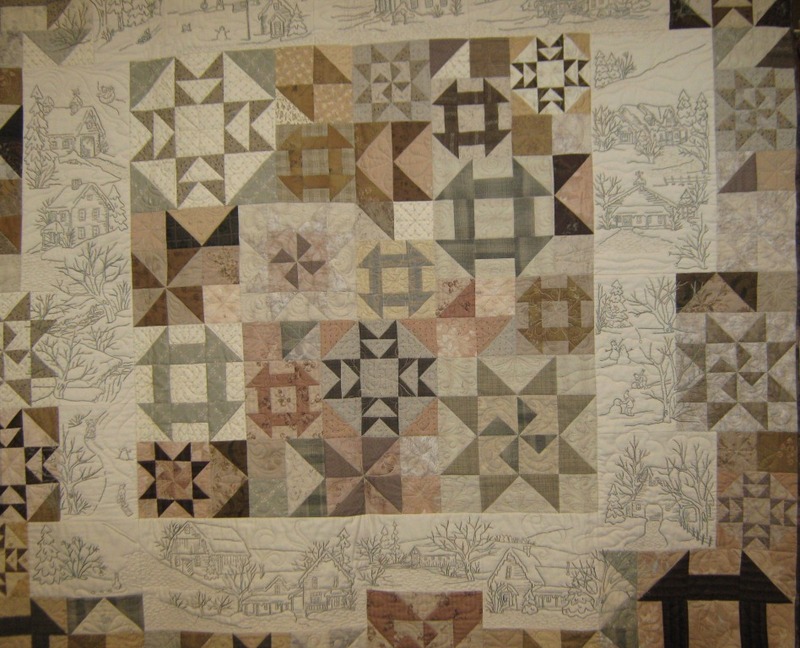 The only difference, that became evident as I looked at the quilts, was the overall fabric colour used. 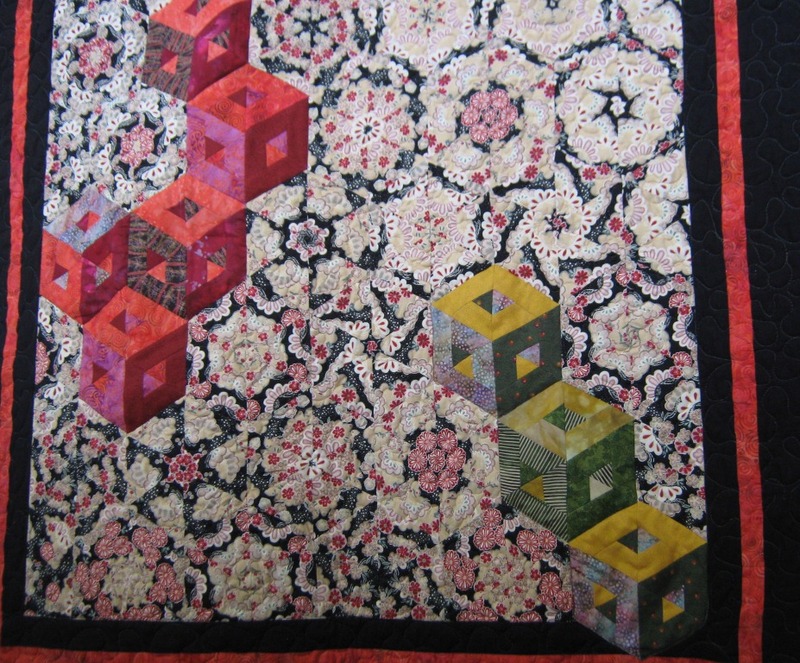 In general, the colours reflected the environment around the quilter. The colours in that part of California were different to the colours one would see in many quilts here in Australia(THAT intense red earth). 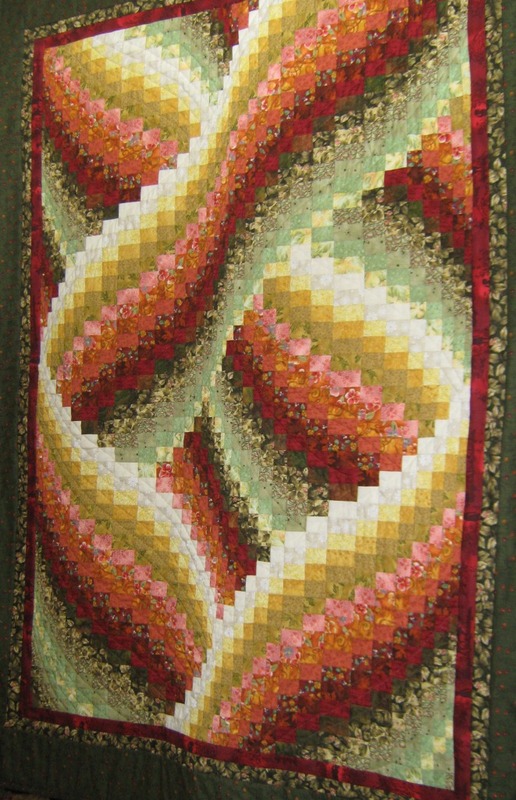 Sometimes the quilt style was familiar but the actual subject matter was quite personal and unique to the location. 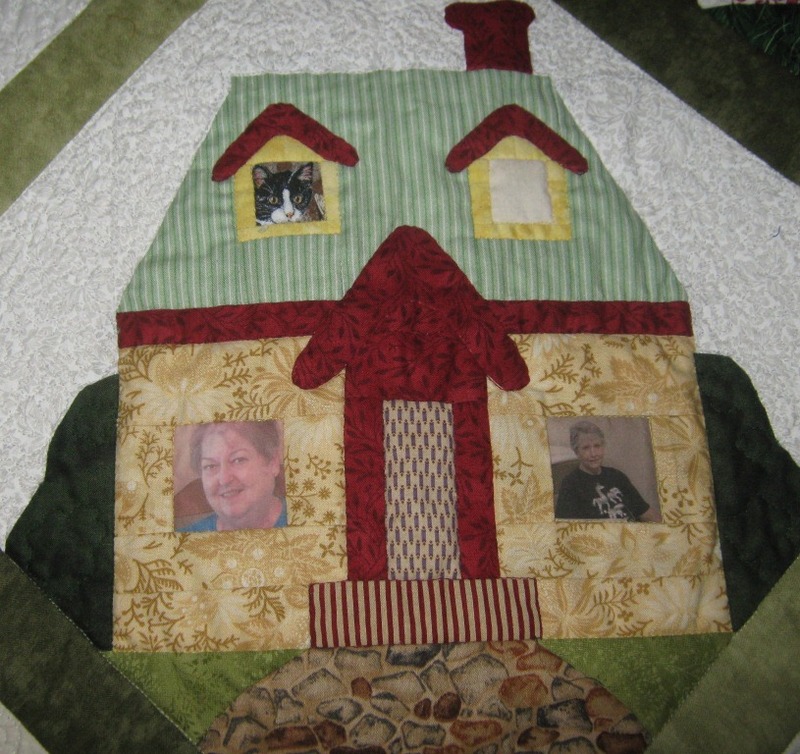 The friendships were evident in several group quilts and I particularly liked this quilt celebrating an 80th birthday. 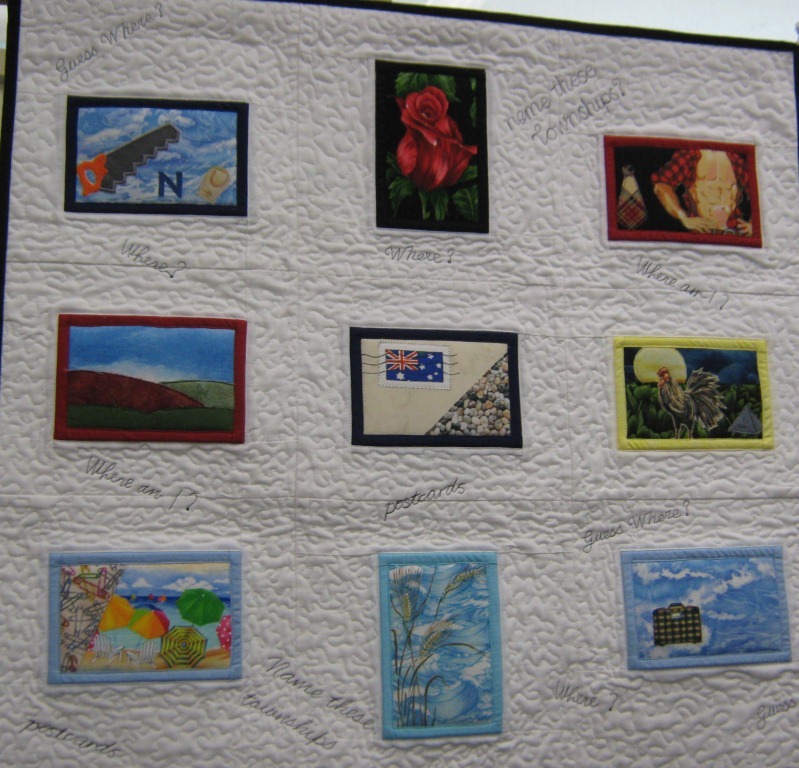 On my return, I attended a local quilt show near Tyabb in southeast Victoria. 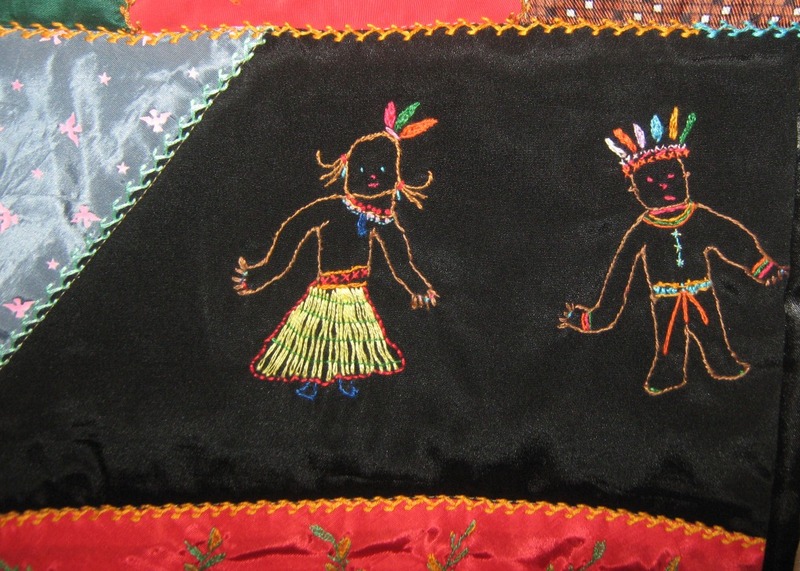 The similarities in the quilts and in the generous welcome were striking. This Victorian show had a special activity in the refreshment area to keep visitors entertained while they enjoyed their coffee and light lunch. Can You Name These Townships? 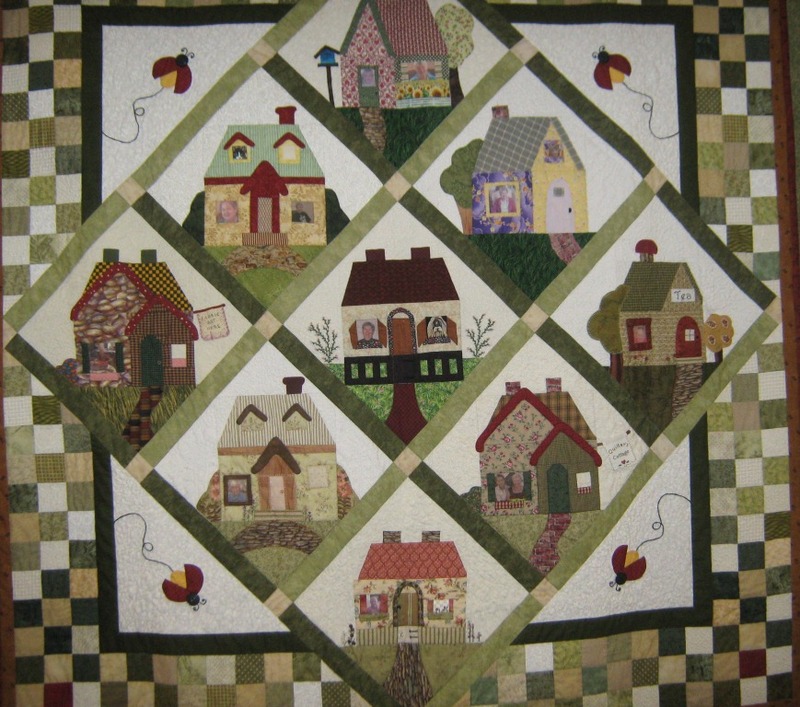 When home or away, visit a quilt show near you! 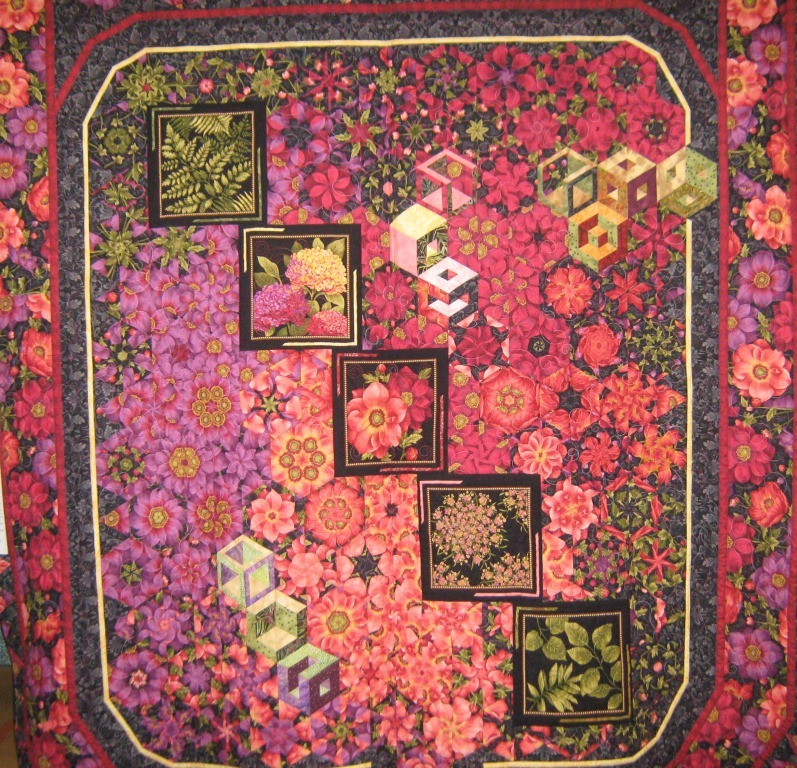 This entry was posted in Events, Home page, Patchwork, Quilting and tagged Always Quilting, Australia, craft, design inspiration, Hexagon, Melbourne, Patchwork, Quilt show, Quilting. Bookmark the permalink. ← Tuesday Treats: Keeping thread clippers safe.